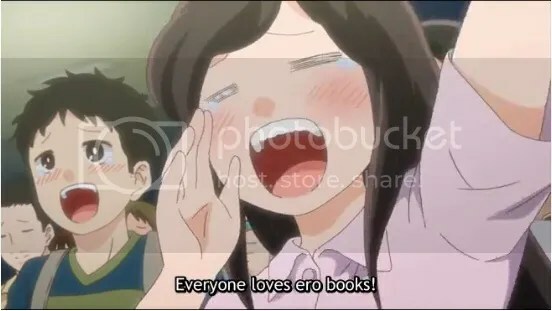 WE ALL LOVE ERO BOOKS, DON’T WE!? Kidding aside, I love anime that make a strong impression on the first episode and this anime does that. 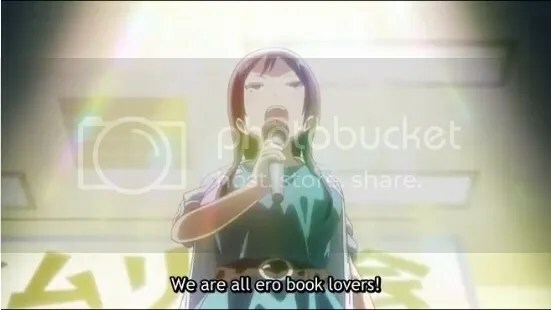 The first skit is a comedic powerhouse for any anime fan who has read any ero doujin (which is probably a huge majority of anime fans). This anime felt something like Servant X Service. It felt like a slice of life parody comedy about people working on a Japanese comic bookstore. I really like how the humor is simple and the moe moments are used to enhance the comedic punch. This anime seems to be nothing groundbreaking but this is sure damn funny. I love my good anime comedies and I have high hopes for this one! Smiling: The perfect coping mechanism, an act of misleading.